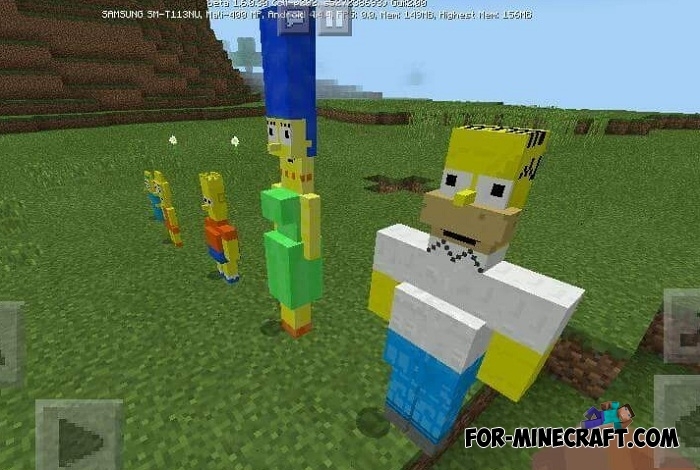 The Simpsons family will appear in Minecraft as soon as you install the Simpsons addon. It is extraordinarily simple and amusing thanks to no complicated characters and new things. For example, if you get to the End you can meet Marge though she is harmless. 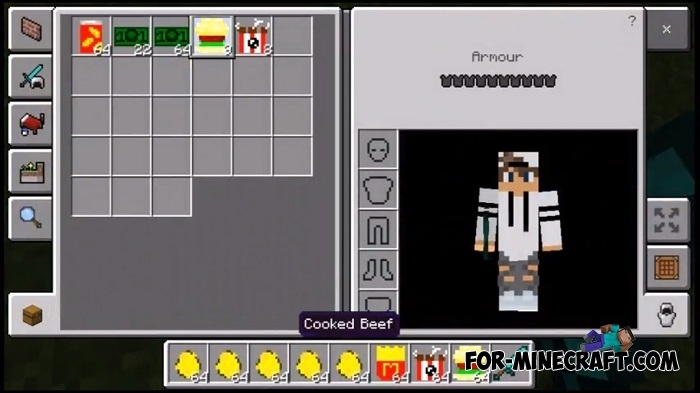 Hamburger, kfc and soda are also included in the addon replacing vanilla food. What do you do with the Simpsons? A difficult question, most likely it's more scenery than functional characters. Download Springfield for MCPE and settle in the house of the main characters spawn them before that. This is so far only the first version so expect improved behavior and much more. How to install the Simpsons?